Company: Pimelodus ornatus (Ornate pim) should no be kept with smaller species. 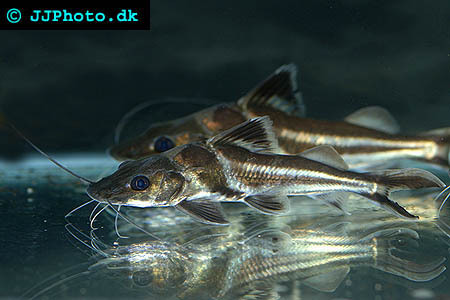 Aquarium setup: Pimelodus ornatus (Ornate pim) requires large aquariums since they are large constantly moving fishes. The aquarium should be decorated so that there are a lot of free areas to swim on and some caves. Plants are optional. Pimelodus ornatus (Ornate pim) can be kept alone but do better if kept in groups. 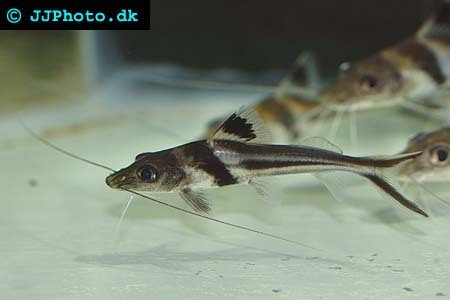 Feeding: Pimelodus ornatus (Ornate pim) accepts most food.